If you are looking for an elegant sofa for your living room and have thought about the option of adding a sofa bed piece to accommodate your guests without compromise the look of your living area you may have found the right product. 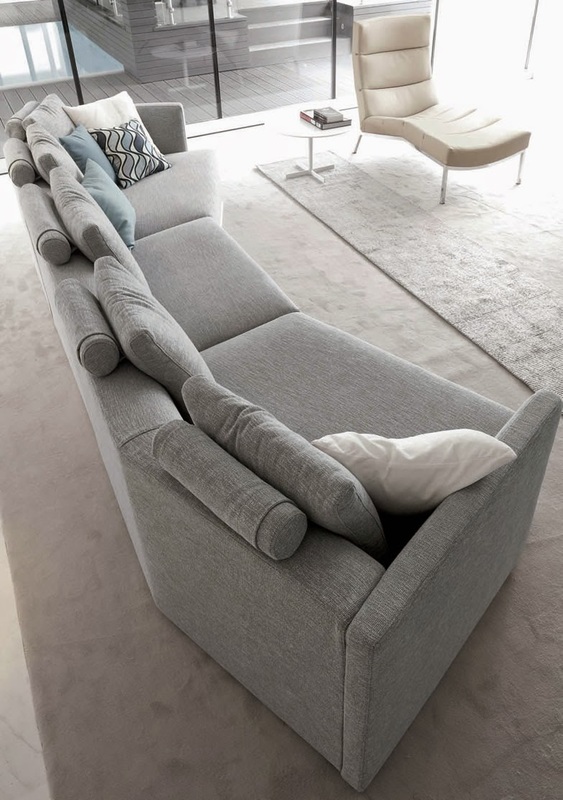 Such elegance is not wasted even when a convertible sofa bed is added. The modern lines are safe. The bed system quietly hides inside while on the outside, everything stays clean and fresh. With this modern sofa bed model you can create wide compositions and sectional versions, you can add corner elements, chaise lounges and shaped end elements. The armrests and cushions follow rigorous proportions and the back cushions feature extra support thanks to round head pillows on the back. This modern sectional sofa and sofa bed version is available in multiple fabrics and all covers are removable for dry cleaning. Rigorous yet simple modern lines, perfect for any modern living room area or contemporary space. This model is available with sofa bed option or sectional sofa layouts. 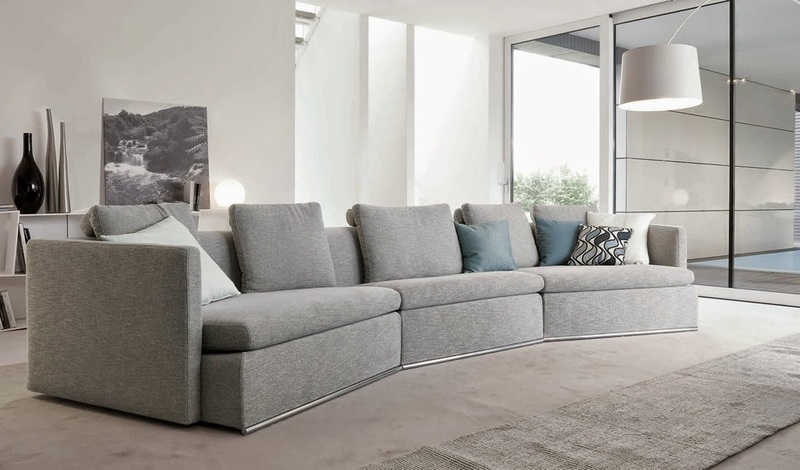 Generous elements and shaped end piece allow you to create exceptional modern sectional sofa compositions and by adding a sofa bed option you can really have a complete living and sleeping area. Beautiful elegant modern sofa with sofa bed or without bed option. You can choose to have a straight one piece element with sofa bed or a plain sofa with two or three or more seat options. You can create large four seats sofa set by adding up pieces as well. Momentoitalia brings you a wide selection of modern sofa beds through our website at www.momentoitalia.com ; whether you are looking for an armchair bed, a queen size sofa bed, a sleeper sofa or double bed we have plenty of modern sofa bed pieces to choose from. All of our sofa beds and our furniture products are made in Italy and imported from Italy. High end quality, high end design and details. Momentoitalia also brings you a cool edgy collection of space saving furniture, check our website to select Italian quality modern sofa beds and then call us to personalize your experience, ask us about fabric selection and more information about these wonderful sofa beds. We are specialized in modern Italian furniture, with a particular attention on modern sofa beds, space saving furniture and modern sofas. Our modern sofa beds are available in multiple fabric textures and colors, in faux leather, in full grain soft leather, in Alcantara or microfiber. You will definitely find the right sofa bed because they are available in so many sizes, in sectional versions or you can go as small as an armchair bed! If you need a king size because you like sleeping large, selected sofa beds feature king size mattresses as well. And always made in Italy, Italian quality and design. We are specialized in modern Italian furniture !